Obesity is at an all time high in the United States. DiaMedical USA offers a wide variety of right-sized, high-capacity bariatric medical equipment from the most recognized manufacturers to meet the needs of even the largest patients. 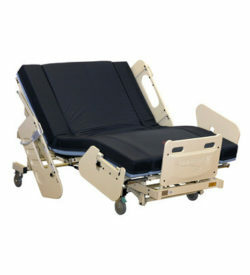 These bariatric products are constructed of sturdy materials and reinforced frames to accommodate high-weight-capacity needs and offer top of the line durability and stability. We offer specialized bariatric hospital beds, bariatric mobility products, such as walkers and wheelchairs, bariatric mattresses and more! If you work with bariatric patients you need specialized equipment to provide quality care and avoid serious safety risks to yourself and your patients.